I recently had my second relaxer touch up of the year and over time I've discovered a touch up is more involved than just the day of the touch-up. To help retain my hair's length and health there is some preparation my hair needs several days before the touch-up. Since I stretch my relaxers I tend to have several weeks of new growth which can mean some serious tangling. To start the detangling process I section my hair and slather my hair with conditioner using as much as needed to get through the tangles. I then use my fingers to work through the tangles and finish up each section with a pass or two from my seamless wide tooth comb. Additionally, after fully drying my hair, I lightly flat iron my new growth. This makes it easier to finish detangling and keep my hair from tangling between my wash and touch up. I've found that if I need to go through the detangling process a day or two before my touch up my scalp becomes agitated and doesn't make for a fun relaxer day. At least a week before my touch up I clarify my hair to start with a cleaner slate. Clarifying helps rid my hair and scalp from product buildup. 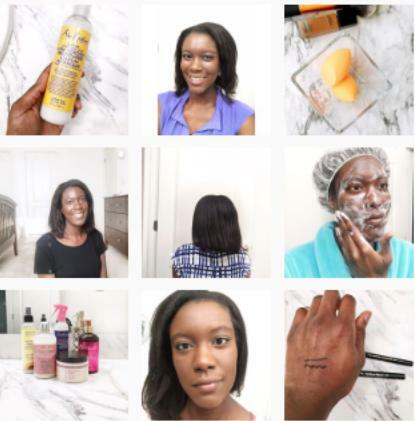 My current clarifying shampoo is SheaMoisture African Black Soap Deep Cleansing Shampoo . So my scalp isn't agitated during the time of my touch up I try to wash my hair no less than three to two days beforehand. I deep condition to make sure my hair is moisturized and has elasticity. This happens either as a pre-poo for detangling or after clarifying. I use some type of protein product whether it's a conditioner or treatment to amp up the protein in my hair since it loses some during the relaxer process. Leading up to my touch up I avoid agitating my scalp. I do this by not scratching, rubbing or touching my scalp. As mentioned earlier I also avoid detangling and washing my hair a few days before my touch-up. Additionally, the night before my touch up I base my scalp with Vaseline or a petroleum-based product which helps to protect it. The day of my touch up I apply Vaseline or a heavier oil to my relaxed strands to protect them from relaxer run-off. When the relaxer is rinsed from your hair it can touch the parts of your strands that are already relaxed causing the strands to weaken even more. I like to pay special attention to my ends because they are the oldest part of my hair and most prone to damage. 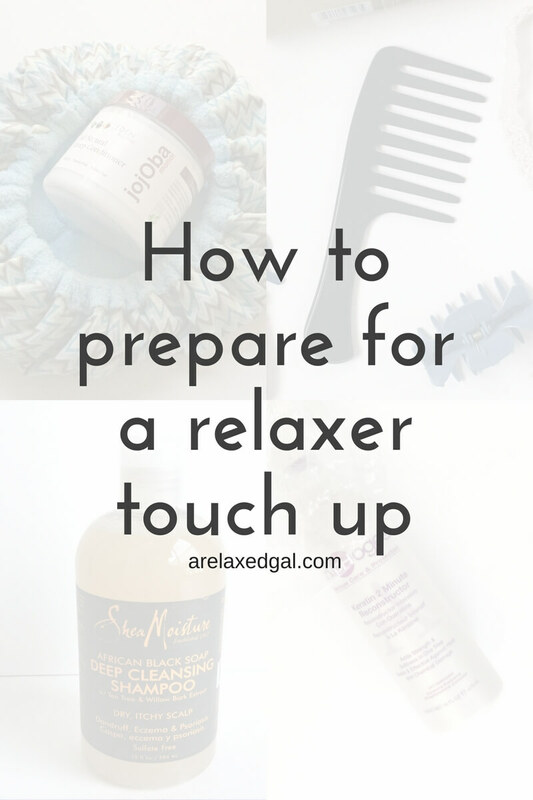 How do you prep for your relaxer touch-ups?